Nostalgic Nickelodeon fans rejoice! The Nick 90's Ruled Notebook features classic art and characters from your favorite '90s cartoons, such as Rugrats and Hey Arnold. Get a nostalgic blast from the past with The Nick '90s Ruled Notebook. 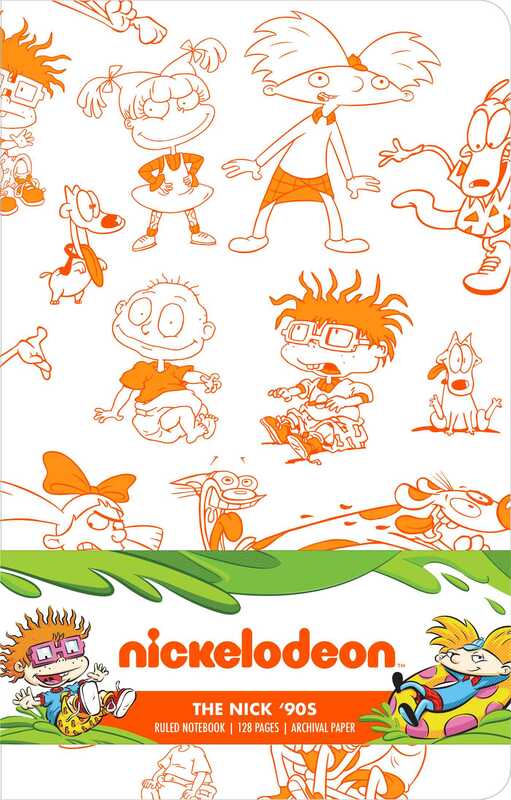 This notebook features the iconic ‘90s Nickelodeon shows Rugrats, CatDog, and Hey Arnold, celebrating the history of this classic television network. The notebook contains 128 pages of high-quality, acid-free paper, which invites fans to jot down and record their favorite memories, adventures, and notes. Perfect for nostalgic ’90s kids and fans of animated television, this notebook allow you to celebrate your love of Nickelodeon.